For a long time now, I am trying to include more fruits in our diet. But somehow it is one food group that is most neglected in this home. I buy bananas, most of the times we finish them off before they get to the overripe stage. Lately, I find atleast 1 or two that get to that stage before I had a chance to finish them. I thought of making banana bread with them, but get too lazy to bake. Couple of times I made banana puri/buns with them. But lately this kele poLe or banana dosa has become my go to dish. It is made on the similar lines of Konkani classic Surnali. Cardamom makes these slightly sweet dosas very festive. Grind all ingredients to a smooth batter and keep overnight. 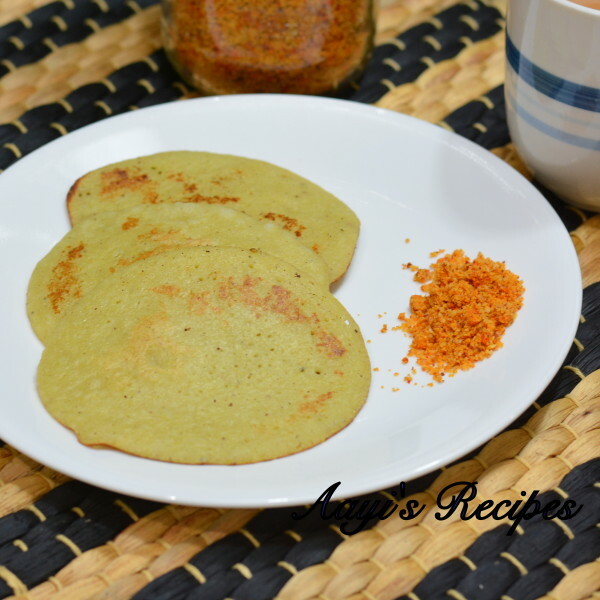 These are thick sweet dosas with aromatic cardamom. Soak rice in water for 2-3hrs. Grind all ingredients together (except oil). Keep it overnight for fermentation. 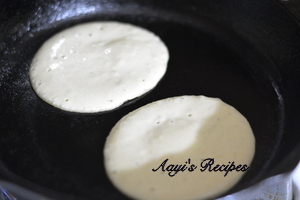 Next day, make thick dosas. 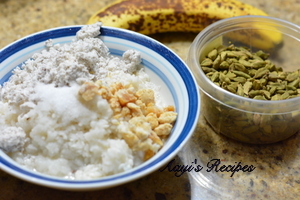 Serve hot with coconut chutney or dry peanut chutney. 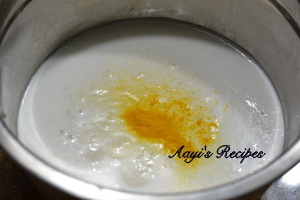 Lovely recipe!! I too make this for my daughter. She loves this sweet version of the dosa. This is my all time favorit. Thank you for putting it up. These dosas remind me of the good time with my aayi. Thanks for this Shilpa.. Wondering if we really need to soak and keep it overnight or can we make this instant using rice flour and mashed banana mix. This is how we used to do it at home earlier. Does it impact the taste ? Any substitute for jaggery? can I use brown sugar?